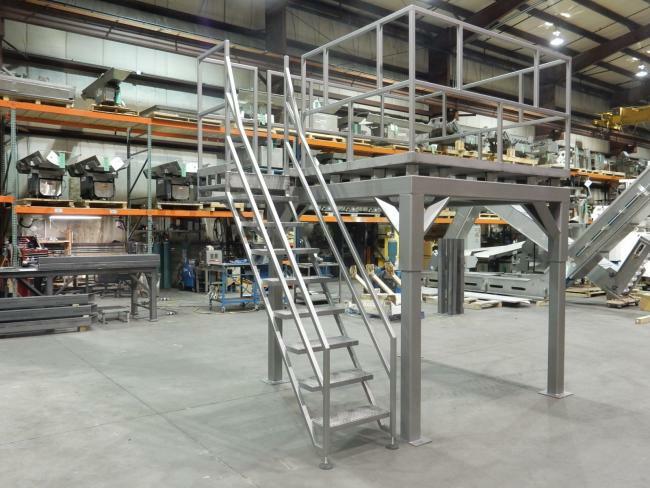 5859 - High Performance Packaging 8'x8' square mezzanine for a 46" base scale. 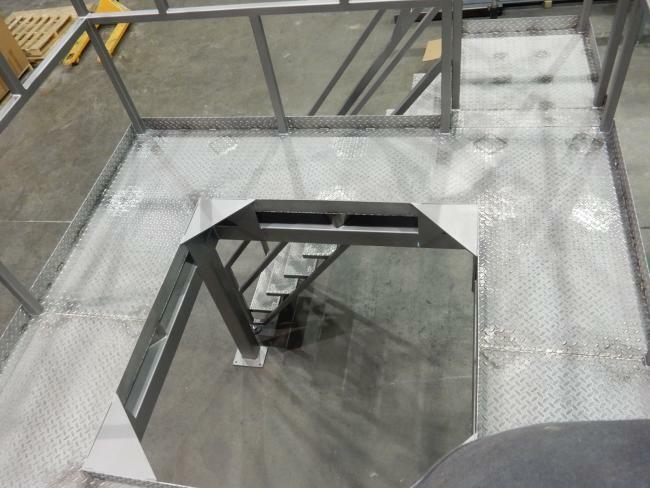 This Ishida / Yamato mezzanine is 90" x 90" and accommodates a scale from 40" square to 50" square. 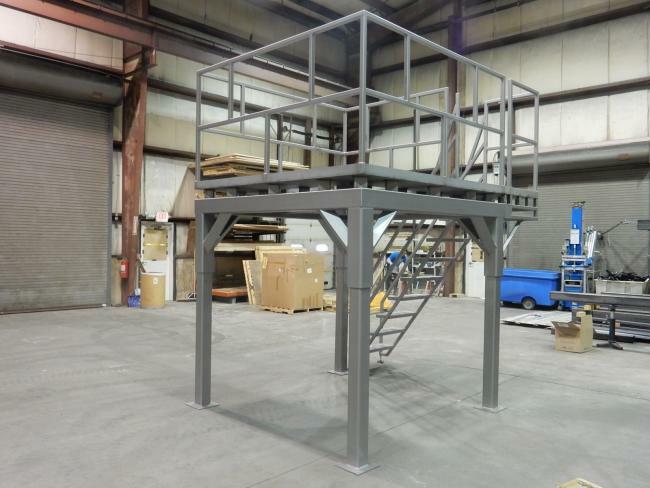 This mezzanine is made using mild steel and painted with Stainless Steel paint. 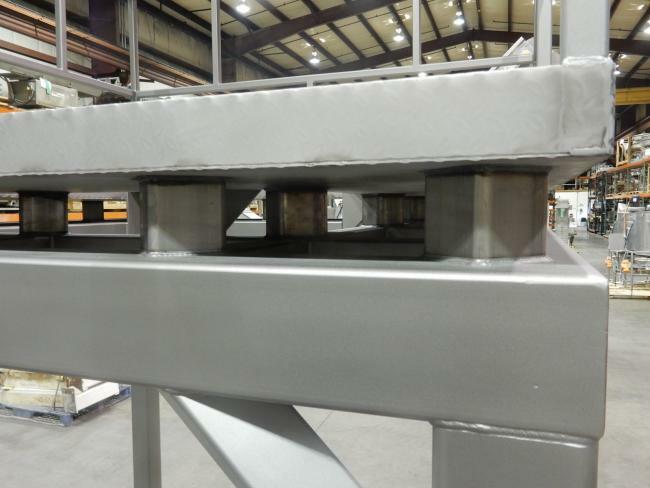 The decking and all kick plates are all stainless material. diamond plate material. 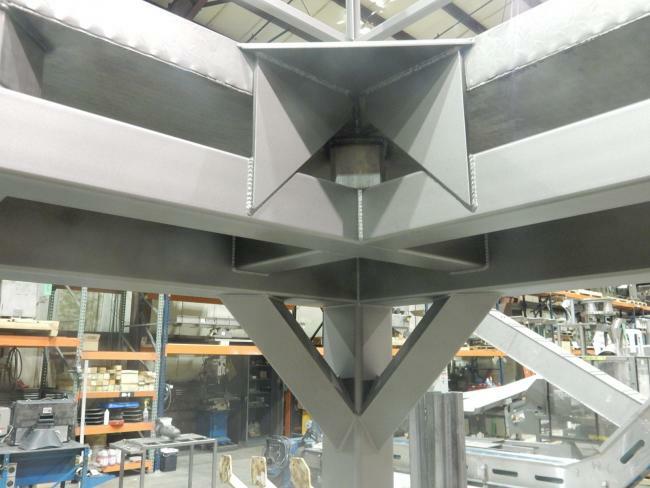 This mezzanine decking is also raised 4" from the base for easy cleaning. Includes all railing and stairs.